February 9 is when our Winter Tour will take us farthest from home, with a journey to Ann Arbor. 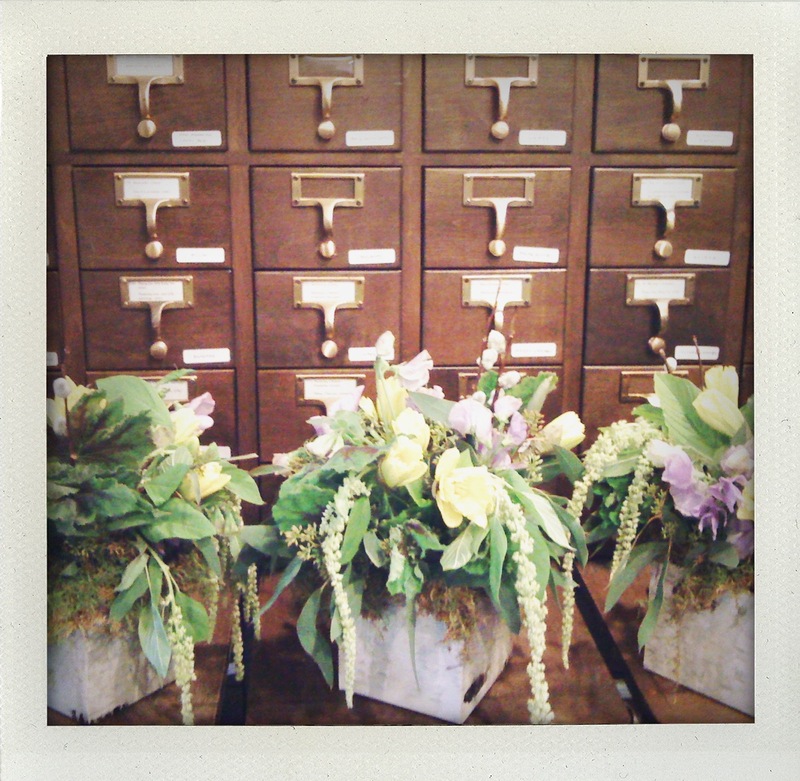 And it’s when we’ll be hosting an event in a space that’s completely new to us: flower and garden shop pot & box. So we’re looking forward to an adventure! On the other hand, it’ll be the kind of cozy Saturday you’ve come to expect from Small Craft. 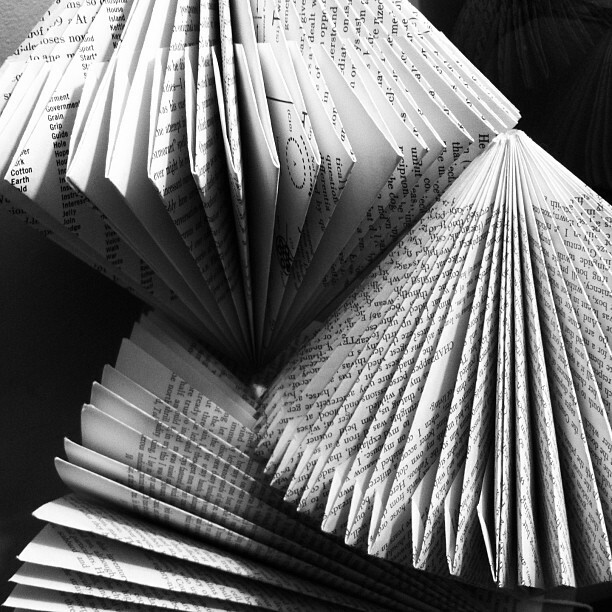 We’ll make book sculptures with our old friend Amanda Schott of dang argyle. We’ll enjoy the soothing scents of the Cellar Door Soap Co. pop-up shop. And of course, we’ll share plenty of free coffee, tea, and homemade vegan baked goods. Whether you’re a Small Craft regular, or you’re joining us for the first time, we’re glad to have you along for a cozy adventure. She hosts Twin Peaks costume parties. Sends a stuffed pickle on a trip around the world. Shares her love of kale and Sigur Rós. And makes cute bags and pouches out of vintage fabric. If you’ve spent any time on Southeast Michigan’s indie craft scene, then you know we’re talking about Amanda Schott of dang argyle. The dang table is a beloved fixture at area craft fairs. And who among us does not own at least one of Amanda’s bags? She’s also known for her fun quirks and engaging personality, so we’re happy to be spending a Saturday with her. In addition to fabric, Amanda works with paper and vintage ephemera. For our February skillshare, she’ll show us how to cut, fold, and glue unwanted paperback books into attractive sculptures. In keeping with our garden shop setting, we’ll be making some paperback trees, and we may explore a few other shapes as well. Books, scissors, X-Acto knives, and glue guns will be provided, along with red and pink glitter, for those who want to give their sculptures a Valentine’s Day look. You’re also welcome to bring along your own books, tools, and supplies. This month’s skillshare is free of charge. It’s vegan-friendly. All natural. Handcrafted. And it smells amazing. 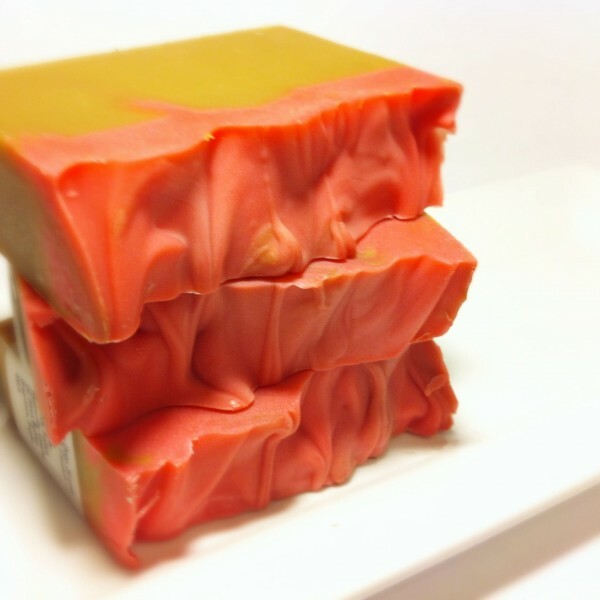 It’s Cellar Door Soap, and we’re proud to feature it in this month’s guest pop-up shop. Not only does Brandon Mitchell make all his soaps from pure, plant-based oils, he always goes the extra mile to get the right soap to the right person. With scents like Patchouli Bergamot, Lavender Mint, and Green Tea Lemongrass, there’s a Cellar Door Soap to suit any man or woman, making this pop-up shop a great place to look for Valentine’s Day gifts. We have yet to visit pot & box, but we’ve long admired this flower and garden shop from afar. It provides container gardening, floral design, and flower landscaping services, all with an emphasis on sustainably and ethically sourced plants. It carries work by local crafters, such as Sloe Gin Fizz. Hosts indie craft events, like Tiny Expo. 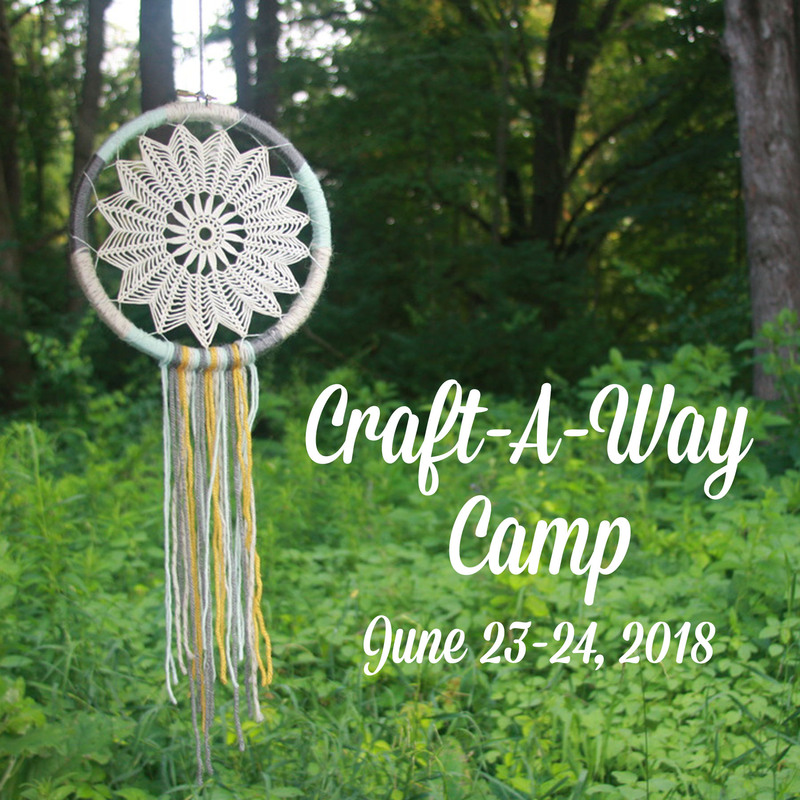 And offers crafty workshops by talented friends, like Rae Hoekstra and Karen LePage. We’re sure we’ll feel right at home in the pot & box event space, which – much like our base camp the Trumbullplex – has had previous incarnations as a factory and an artists’ studio. 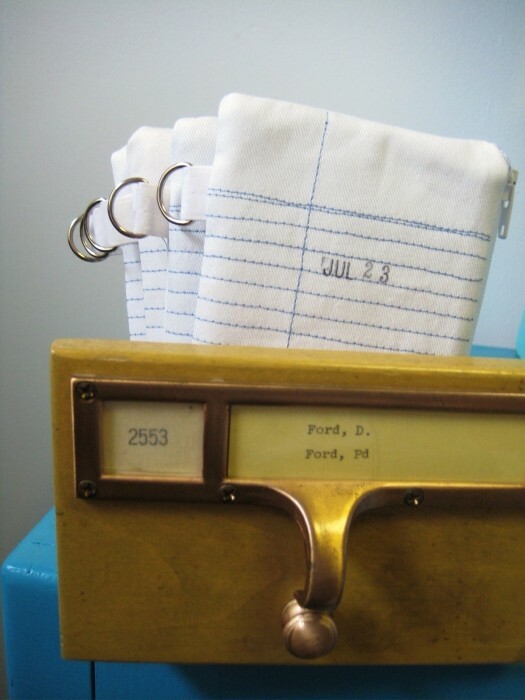 pot & box will soon be embarking on its own adventure: opening a second location in Detroit. Soon after our Winter Tour travels from Corktown to Ann Arbor, bringing a pop-up shop, pot & box will travel from Ann Arbor to Corktown, bringing a pop-up market! So in February, we’ll all be whirling round and round the region, a blurry crowd on a huge and thrilling carnival ride. But we’ll also be pausing to sip tea and fold paper with that little circle of friends we always find at Small Craft.